A corporate wellness program can lower your insurance risk. Are you looking for a way to keep your group health insurance costs down? If so, then consider implementing a corporate wellness program. As of this writing, almost all companies with 1,000 or more employees offer some type of a wellness program. There is a reason for that: Corporate wellness programs are not only a great way to promote health among employees, but they’re also a great investment. You might think that only larger corporations (i.e., those with 1,000 or more employees) can afford a wellness program. However, small-to-medium sized businesses (SMBs) can still implement wellness programs in a cost effective manner. This is because these programs are frequently offered by the same companies that administer the company’s health benefits plan. 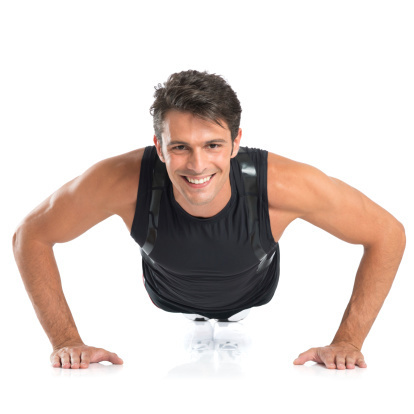 Fitness programs are typically part of a corporate wellness program. Dozens of peer-reviewed studies have found that, on average, health care costs are reduced by $3.27 for every dollar spent on a wellness program. That reduction in health care costs will, of course, be welcome news to your health insurance provider. It will also put downward pressure on your insurance costs. That’s money that goes straight to your bottom line. However, there are other benefits to wellness programs as well. The same series of studies found that employee absenteeism costs fell $2.73 for every dollar spent on a wellness program. Another series of studies, published in 2005, found that a wellness program can reduce sick leave by as much as 25%. Wellness programs are typically voluntary. To encourage participation, employers will often provide incentives to employees to join the program. These incentives can include small gifts, such as baseball caps or t-shirts. Sometimes, larger incentives are used, such as cash or gift certificates. Remember, though, all of these incentives are considered part of the cost of a wellness program. As noted above, that cost is offset by additional savings. A wellness program is not only good citizenship, it’s good business. You’ll find that your cash flow is improved and your employees are happier once you’ve established a wellness program at your company.